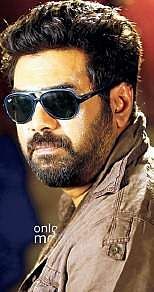 Biju Menon will play an aspiring detective in Shafi’s next titled Sherlock Toms. Biju Menon will play an aspiring detective in Shafi’s next titled Sherlock Toms. The comic entertainer, which will go on the floors by April end, will have the actor switching on his funny man avatar, like in the 2014 blockbuster Vellimoonga. “Biju will play Toms, an avid fan of Sherlock Holmes, which inspires him to become a detective. However, circumstances don’t work in his favour and he ends up doing odd jobs for a living. Toms approaches everything in life as a detective thereby ending up being a nosy and inquisitive person, much to the irritation of others. He is called Sherlock Toms because of this,” says Shafi. The actor has earlier collobrated with Shafi for the superhit Marykkondoru Kunjadu. Shafi added that ever since he decided to make a movie on the subject, Biju was his first choice. There will be two heroines in the film. Salim Kumar, Aju Varghese and Vijay Raghavan will also play prominent roles. The story is by Najim Koya who has also penned movies like Ordinary. The script has been written by Shafi, Najim and Sachy.